Nope. There’s nobody in the band named Harry Hillman. 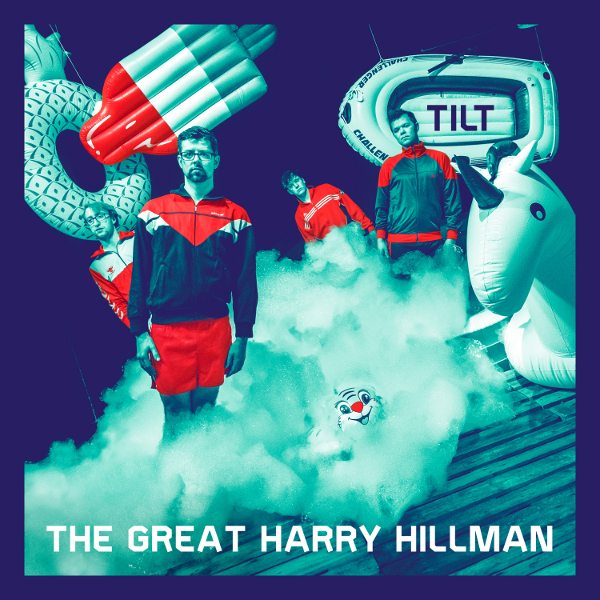 The band is named after Harry Hillman, the American hurdler who won three gold medals in the 1904 Summer Olympics in St.Louis. The band is a post-jazz improv quartet from Lucerne, Switzerland, featuring drummer Dominik Mahnig, guitarist David Koch, bassist Samuel Huwyler, and Nils Fischer on woodwinds. Tilt is the band’s third full length release, following their self released debut Livingston (2013) and their sophomore recording Veer Off Course (2015) on the German Klaeng label. The music on Tilt takes a number of forms, mostly improvisational but some structured pieces and others that swerve between those poles. Early in the opener “Snoezelen” one might get that “Facelift” feeling, like the early parts of the Hopper classic on Soft Machine’s Third, which wanders around for a few minutes and eventually morphs into the memorable classic. “Snoezelen” never really makes that transition, though — it just continues to wander in the darkness with nothing solid ever materializing from the opening free improv, even though the anticipation is created while each of the musicians introduces himself boldly, Mahning creating an amazing din on the kit while Fischer blows out some beautiful melodic lines on sax. “Strengen Denkt An” follows, a more seemingly composed piece with Mahnig building a powerful structure while Koch slashes and burns it with blistering electric guitar outbursts, but eventually it settles into mellowland as bass clarinet takes the lead and pushes the noisy elements into the background. Throughout the remaining six tracks there are many stunning moments of epic musical telepathy that will make the journey worthwhile, but at least as many where the listener is just waiting for something to happen. The second to last cut, “How to Dice an Onion,” is one of the disc’s best numbers, combining an effective composition and skillful improvisation with an interesting groove that leaves the listener wanting more.